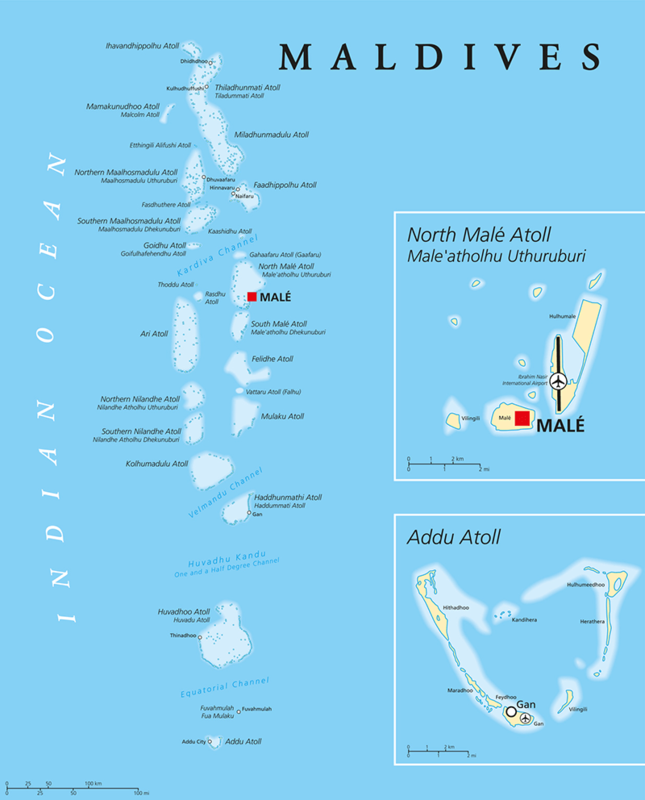 Straddling the Equator from north to south, the Maldives consists of 26 coral atolls, made up of 1,190 islands. Diving is world class, with night-diving unsurpassed. The sea teems with over 1,000 species of fish among the thriving coral. Many of the activities can be done straight from your room – just don your flippers and mask and flop into that inviting turquoise sea. As well as diving and snorkelling, there are a myriad of other water sports and some wonderful land based activities such as walking in the rain forest, visiting local markets, trying out the wonderful restaurants, island hopping. As well as a wide choice of activities, there are some totally idyllic places to stay – most of which are utter luxury and to make your stay even more exotic, some hotels are reached by seaplane. With sun, sand, sea and wonderful seafood, it is not far from paradise.